We offer a bi-weekly meal service, suitable for a dinner party or a few days of meals. 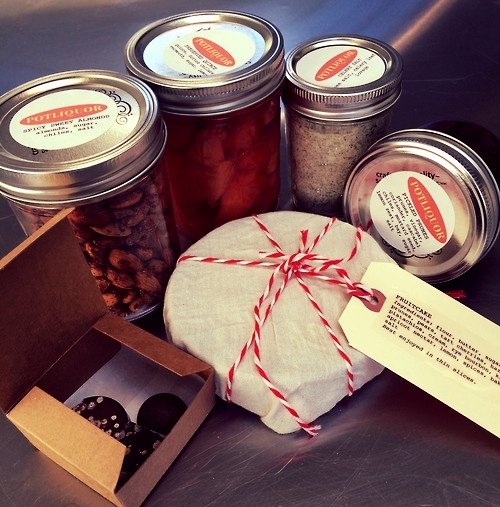 Each menu is unique, seasonal and made with care, given in reusable jars packed into a wooden crate. We love to throw parties. We will put our heads together to write and execute a custom menu perfect for your moment, whether it’s dinner for six, cocktails for a crowd, platters dropped off for a casual gathering, your ideal wedding, or anything else you can dream up. Potliquor is seasonal, well and locally sourced, carefully made food, for celebrations and every day.